Desiree Robinette is a current undergraduate student at the University of Washington with a major in History and a minor in Education, learning, and society. While she loves learning different parts of history, her passion lies in the attempt in understanding the function of race in American society. 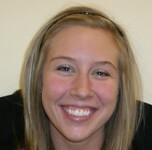 She plans to graduate in 2010 and attend graduate school to attain her Masters in Teaching.